1Based on aggregated client results. 2018. Wind assets are hard to inspect on-site. O&M providers and asset owners currently rely on rope access technicians and ground-based cameras to check for cracks, tip erosion, delamination, and other issues. Operators prioritize maintenance and achieve production goals. Owners manage assets over a lifetime, selecting operators and materials that consistently maintain the best outputs. Insurers and claims adjusters get a comprehensive view of assets before paying warranty or damage claims. 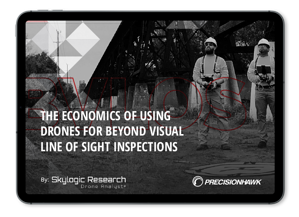 Credentialed pilots, with experience flying PV projects, deploy thermal, LiDAR, and multispectral sensors to collect data over the assets. Don’t just collect data—get insights. Use our intuitive reporting system to resolve issues or integrate data into asset management systems. Site Selection: LIDAR-equipped drones can map vegetation, terrain and water features. Pre-purchase Evaluation: Buyers can request a report detailing blade and turbine health. Insurance Risk Assessment: Insurers can offer customers a discount if the assets are in good condition. Insurance Claims Reporting: Owners can quickly assess damage after a storm or other damaging event for insurance claims. Our reports are easy to read and give your maintenance staff detailed information to help decide if a blade needs to be serviced immediately, or if the fix can wait. Because a drone flyover is less expensive, assets can be scanned for issues more frequently so boats, crews, cranes, and climbers can be scheduled more economically. In addition, drone inspections reduce safety risk by cutting in half (or more) the number of times a turbine needs to be climbed. With the inspection done via drone, only the repair needs to involve a climb. Drone inspection offers the best balance of cost, quality, and turbine downtime. We employ the most advanced thermal infrared and high-resolution visual sensors available. Statoil (now Equinor) used PrecisionHawk to complete drone inspections for its 317 megawatt Sheringham Shoal Wind Farm off the coast of Norfolk, United Kingdom in 2017. The 200 drone flights inspected 264 blades. The inspections revealed blade health details Equinor had not known about before. The drones were operated from the site’s standard 19-meter service vessels with no need for climbers. Equinor won a RenewableUK Health & Safety agency award for a significant reduction in risky transfers and equipment lifts. We help you select the best sensor for the job, and understand the unique needs of your wind installation. Want to further integrate drones into your preventive maintenance and incident recovery programs? We offer a full suite of services that strengthen the data value chain. The result: You can manage your wind turbines efficiently and effectively. Whether you are looking to optimize your assets’ performance, save money on time-consuming field inspections or understand the value of a solar install you are looking to buy, we provide a flexible, compliant and cost-effective approach.